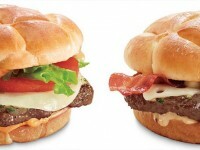 The fast food contests are heating up October. 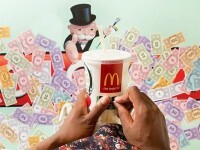 McDonalds is currently in the 3rd week of their Monopoly campaign, and not to be outdone, Jack in the Box is giving away over $1 million in food and prizes. 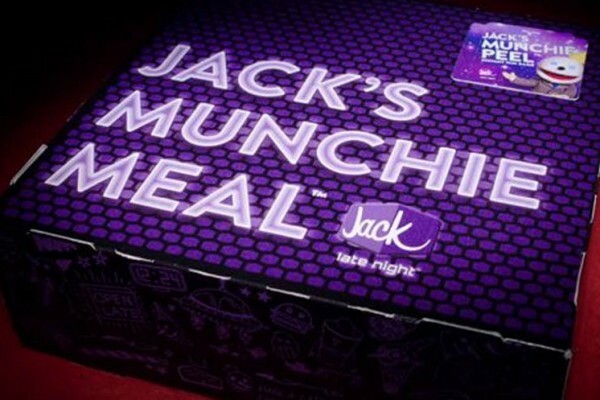 The contest can only be played after 9 p.m. and is only on Jack’s Munchie Meal™ which consists of a entree, fries, two tacos, and a drink. 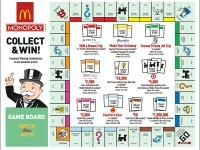 All you have to do is buy a Munchie Meal between now and November 12 and pull of the game piece on top of the box. There is no collecint of pieces here, and odds of winning are 1 in 4 (although I’d assume most of those are prizes for more food). Some of the non-food prizes you can win include movie tickets, flights, music downloads, and snowboards (you know…stuff that cool, young people like). With this game, there is a twist. If you don’t win instantly from your game piece, you have a second chance to win. 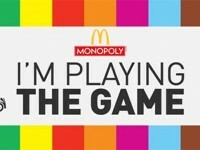 You can take that losing game piece to JacksMunchiePeel.com and enter the special code to enter for a chance to win a two night VIP experience for you and three friends in Las Vegas. If you want to win this prize, you must be at least 21 years old. For more rules, see JacksMunchiePeel.com. Good luck!